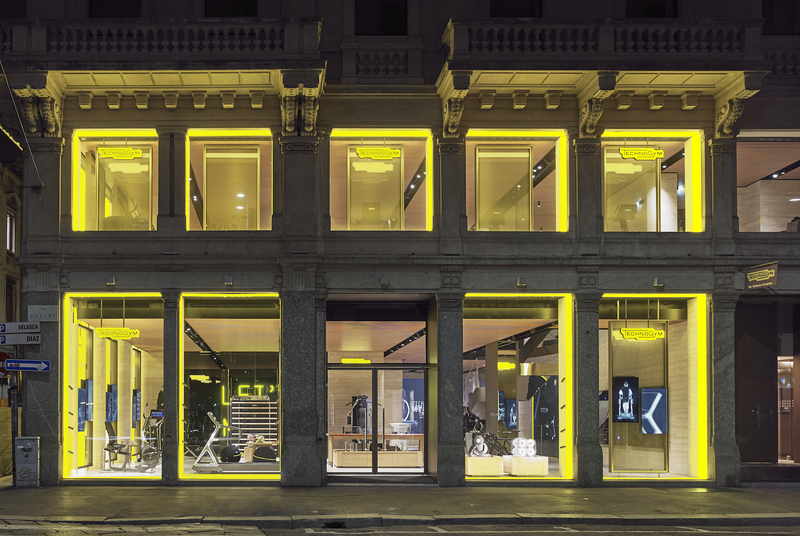 The Italian brand's clean aesthetics and advanced data tracking are on display inside the new boutique, which debuted during Milan Design Week. Sinking back into a gray settee, Nerio Alessandri muses about the time he was rejected by Giorgio Armani. “When I was twenty years old, in the early 1980s, my dream was to become a fashion designer. So I sent my CV to Armani.” He pauses. “Nothing. Non ho ricevuto niente.” When he never heard back, he did what any precocious twentysomething would do: he retreated to his garage in Cesena, Italy, and started building a crude hack squat machine. A workout apparatus may seem tangential to Italian suiting, but Alessandri insists otherwise. “My DNA is design,” he says. 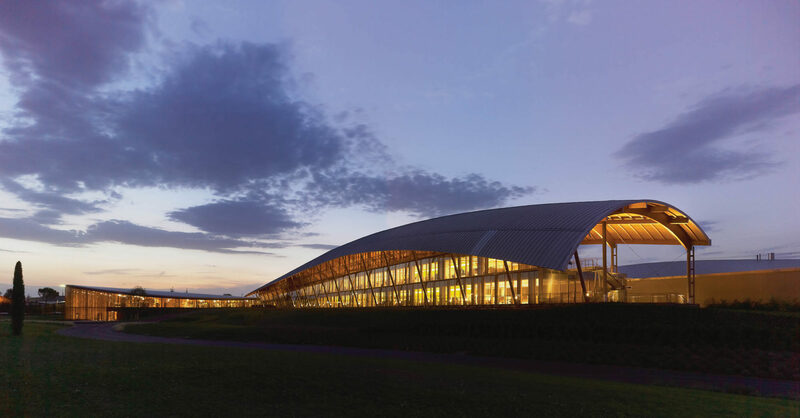 “I transform functionality into the emotional, plus the environment.” It’s with that credo that Alessandri has turned that early angular metal contraption into Technogym, the multinational goliath that has supplied the training equipment for six Olympic Games, not to mention hotels, gyms, and private homes all over the world. The brand’s sparkling new flagship in Milan, which opened in early April during Milan Design Week, amplify these values. Alessandri entrusted the structure to Antonio Citterio, the veteran architect and furniture designer who has collaborated with such big-name design houses as B&B Italia, Kartell, Hermès, and Vitra, and who has steered the aesthetic vision for Technogym’s Personal Line of home equipment. (He’s also responsible for the headquarters just outside of Bologna.) The design is similarly tranquil and minimalist—a breather from the touristy hubbub outside on Via Durini. On the first floor, leather-clad durmast oak tables are topped with stylish stainless-steel dumbbells and kettlebells, and a typographic installation blazes Technogym’s motto, “Let’s Move For a Better World,” in neon yellow lights. Pieces from Technogym’s Personal Line are situated on the ground floor. Much like cars, fitness equipment tends to get more aerodynamic over the years, with more softly curved lines and oval forms. But with pronounced shapes, sharp angles, and luxurious appointments—like an ergonomic Vitra seat on a recumbent bike—the collection seems to confidently rally against that trend. “I believe every object should be a pleasure to look at—the pieces could become part of a home interior design project,” says Citterio, who recently designed a weight rack and bench for the collection. 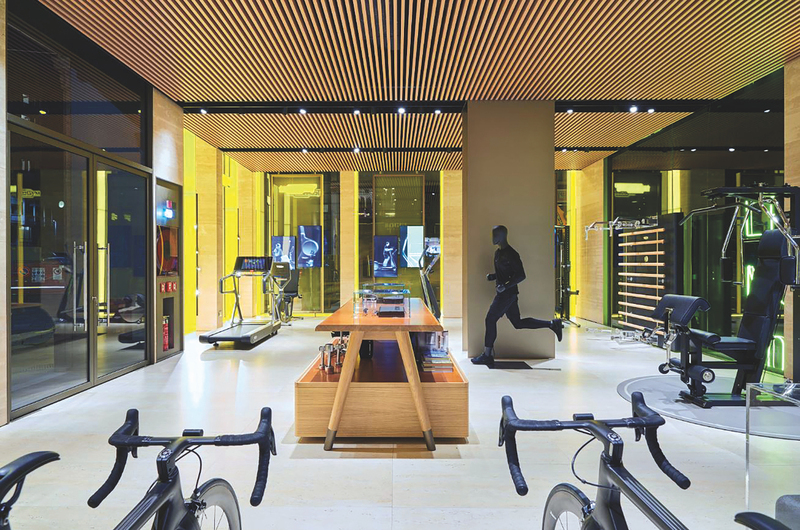 From here, a lightning bolt–like staircase leads up to an education and events area, and down to a spread of fitness equipment, where a few customers watch trainers clad in Technogym merch demonstrate on a Skillmill, a treadmill with a concave belt. The staircase itself has a mirrored underside, a playful nod to those awful gym mirrors.